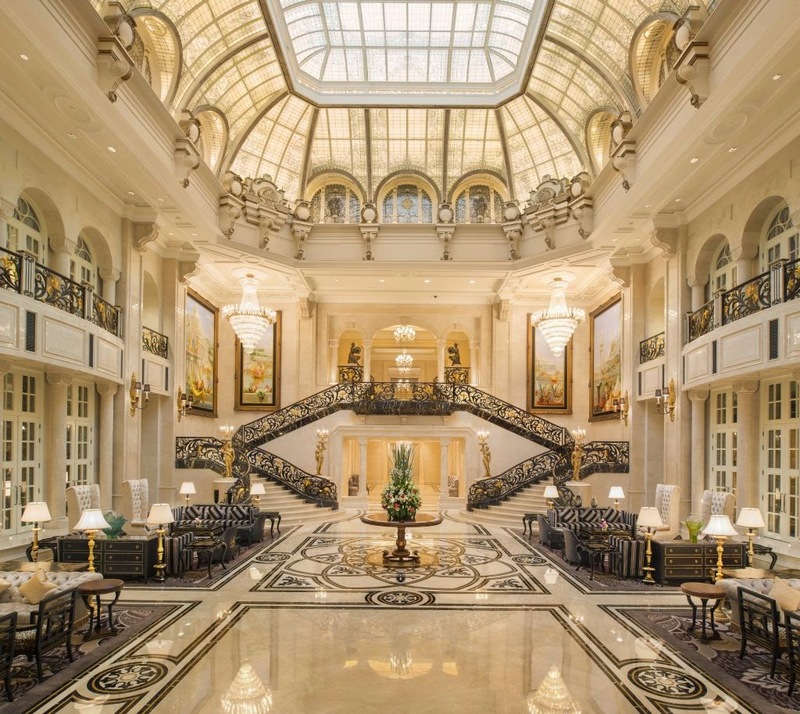 The Luxury Collection, part of Starwood Hotels & Resorts Worldwide, Inc. (NYSE: HOT), announces the opening of The Castle Hotel, A Luxury Collection Hotel, Dalian, China on September 2014. Owned by the Dalian Yifang Group and managed by Starwood Hotels & Resorts, The Castle Hotel marks The Luxury Collection’s first hotel in Liaoning, China offering the brand’s signature concierge service and indigenous cultural experiences in a majestic urban retreat. The Castle Hotel joins a portfolio of distinct Luxury Collection hotels in China, including the legendary Astor Hotel in Tianjin; Twelve at Hengshan and The Hongta Hotel in Shanghai; and The Royal Begonia Resort in Sanya. Later this year, The Luxury Collection will open The Azure Qiantang as a Luxury Collection hotel in Hangzhou. 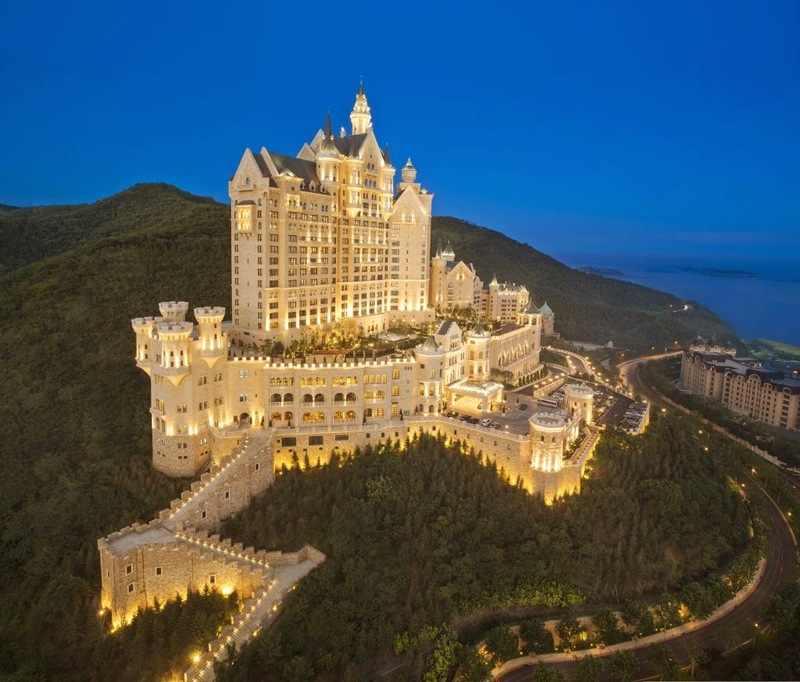 The Castle Hotel, A Luxury Collection Hotel, Dalian commands an imposing presence with its palatial Bavarian-style castle set amid lush foliage on Lotus Mountain in Dalian, Northeast China. Overlooking Xinghai Square as well as Xinghai Bay and the Yellow Sea, The Castle Hotel offers 292 luxurious guestrooms and suites as well as 67 residences, offering stunning ocean views with meticulous interior designs. Reimagined by HBA Interior Design, the hotel boasts an opulent, contemporary design where each detail - from the wall decorations and furniture to the ornaments and art collections – tell a story. Following the hotel’s extensive renovation, The Castle Hotel remains an icon on the city’s skyline and is now poised to take its rightful place as the guardian of Dalian, the “Pearl of Northern China.” The exterior of the hotel remains true to the original European-inspired architecture with hand-selected stones gracing the façade of the castle. The Castle Hotel features three restaurants with creative and authentic cuisine options unique to Dalian. Zhen Bao restaurant offers authentic gourmet Cantonese fare featuring fresh “sea-to-table” seafood from Dalian and “farm-to-table” meats and produce; Collections is an all-day dining restaurant with an international menu; and the Royal Cellar features home-brewed German beer and northern European specialties. In addition, guests can choose from two lounge areas – The Lobby Lounge and the Aristocrat Lounge. The Lobby Lounge is an elegant bar offering the classic high tea; while the Aristocrat Lounge is the perfect venue for wines and cigars. With its prime location, The Castle Hotel is an outstanding special events venue offering a spacious grand ballroom, seven function rooms and a 4,000 square meter open air rooftop garden, which provides an elegant space for memorable occasions from grand-scale weddings, to intimate cocktail parties, to important business meetings. As part of the opulent experience, guests can enjoy the hotel’s spacious indoor swimming pool, state-of-the-art fitness center and luxurious Kaiser Spa. The Fitness Center features a multi-functional yoga room while the indoor heated swimming pool offers guests a stunning ocean view. For guests looking to unwind, the Kaiser Spa is an oasis for relaxation and features sauna baths, massage services and three entertainment rooms for family and friends to gather. As part of The Luxury Collection Hotels & Resorts, The Castle Hotel will offer The Luxury Collection Concierge service to help discerning guests explore and unlock the very best of the destination. Each Luxury Collection Concierge is a bilingual, certified destination expert, proudly wearing the "clef d’or", the gilt insignia of the celebrated international concierge society, and eager to reveal the secret treasures of their city. Signature experiences include a tour of Fisherman’s Wharf and the Coastal Road; a memorable visit to historic Lvshun, site of the main battlefield of the Russo-Japanese War; as well as a day outing to Jinshi Bay to explore Golden Pebble Beach and the Jinshi Golf Club, an 18-hole championship golf course designed by famed golf course designer Peter Thomson. Known for its fresh air and temperate coastal weather, Dalian is a favorite coastal tourist destination for travelers from Northern China and Asia. Situated at the tip of China's Liaodong Peninsula, it is a trading and financial center in northeastern Asia and has gained the reputation as the Hong Kong of Northern China. With its spectacular scenery and moderate climate, Dalian is also known as ‘The City of Romance’ and as well as China’s most livable city. For visitors new to the city, Dalian offers a unique blend of European, Russian, Japanese and traditional Chinese architecture reflecting the city’s fascinating history when its ports were used as an international trading hub during ancient times. As a nod to its European heritage, Dalian is a vibrant center for fashion, football, craft beer and an abundance of green spaces. Each year, the city hosts European-inspired events that attract visitors from the region and around the globe, like the Dalian International Beer Festival and the Dalian International Fashion Festival. Dalian is also the sixth city in Mainland China and one of the first northeastern cities to introduce a 72-hour visa-free stay. Hotel search websites gives the best result for staying in Our 5 night stay at Hindes Hotel was very good. Staff extremely pleasant, helpful and kind. Hotel clean, lovely car park at the rear, plenty of hot water, comfortable bed. Yes, we would stay there again and recommend it to others.